“It is still true that children are the most susceptible to the teachings of the gospel; their hearts are open to divine influences, and strong to retain the lessons received. The little children may be Christians, having an experience in accordance with their years. They need to be educated in spiritual things, and parents should give them every advantage, that they may form characters after the similitude of the character of Christ.”—DA 515. “Children of eight, ten, or twelve years are old enough to be addressed on the subject of personal religion. . . . If properly instructed, very young children may have correct views of their state as sinners and of the way of salvation through Christ.”—1T 400. “When Jesus told the disciples not to forbid the children to come to Him, He was speaking to His followers in all ages—to officers of the church, to ministers, helpers, and all Christians. 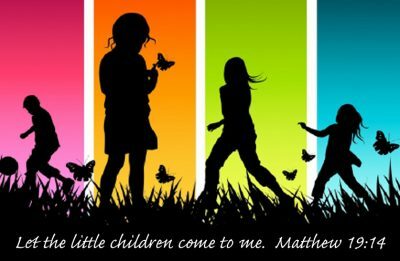 Jesus is drawing the children, and He bids us, Suffer them to come; as if He would say, They will come if you do not hinder them.”—DA 517.